My students adored the new Star Wars the Force Awakens movie and boy were they eager to make their own little Star Wars friends. 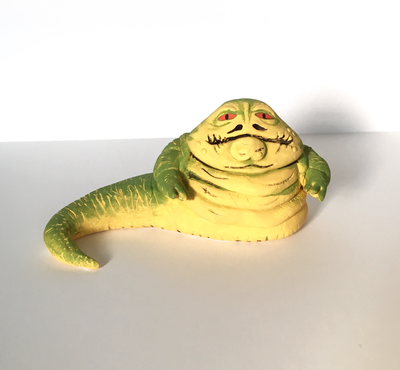 Here is a Jabba the Hutt that I made out of Crayola Model Magic. I molded the sculpture until I was satisfied, allowed it to dry and then painted it with acrylic paint. Step 1. For the base and tail take a good amount of model magic and roll it into a "snake shape", flatten one end slightly. Step 2. 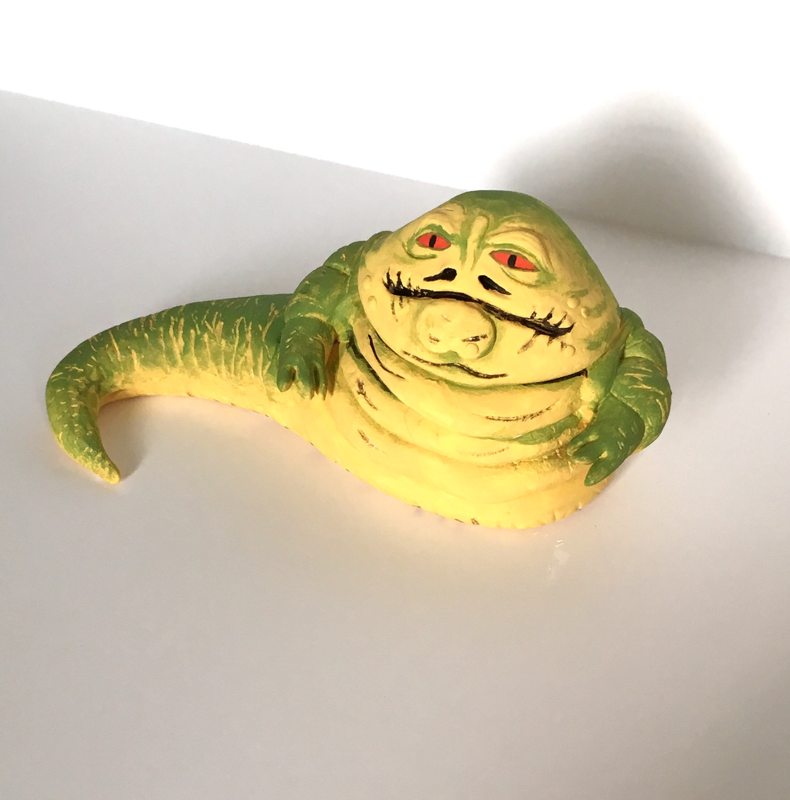 Take another piece of model magic and roll it into a ball then squish it onto the base, build upward towards the head, you'll only really need two or three balls of model magic. Step 3. Form the arms, hands an facial features. I used a toothpick to make the nostrils and mouth. Step 4. 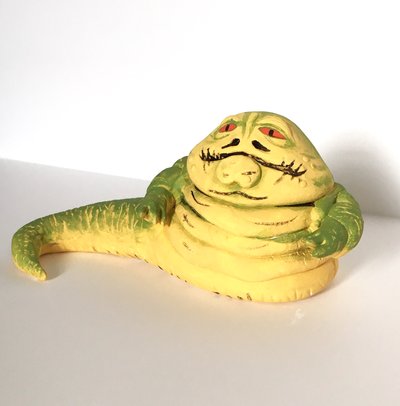 Once it's dry (about a day to set and a week to fully harden) paint Jabba with acrylic paint.